This project was a competition entry for the Metro Station 20 of Metro Line 1 in Sofia, Bulgaria. The solution aims to create a public node to serve as gathering spaces, and to create a unified identity to the station and immediate surroundings. 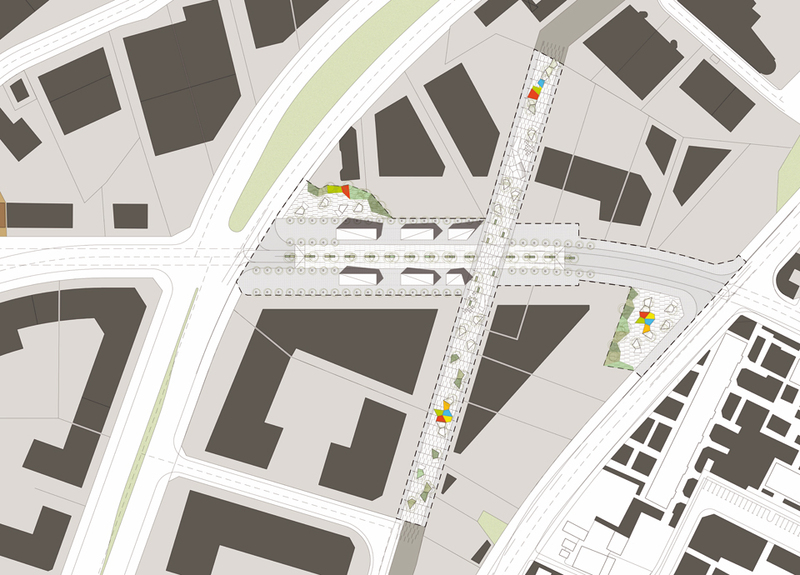 At street level, there is a park, pedestrian areas and the station access points. All of these programs are unified via a continuous pavement- with no level changes between park, street or walkway. The park and access points share geometries- thereby creating a unified language. This language is continued in the station level through the form of the ticket booths and ancillary rooms. The station level itself is open to the platform level below it, creating a connection between the outside, station and platform via direct lines of sight.